Obituary for Elizabeth M. Carter | House of Wheat Funeral Home, Inc.
MS. ELIZABETH “TONI” CARTER, born May 10th, 1925 in Hamilton, Ohio, very peacefully retired from this life to celebrate life eternal on August 11, 2018. She was a graduate of Taft High School and attended Ohio State University. 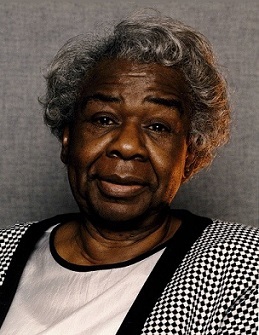 Her federal service began with part-time employment at Wright Patterson Air Force Base and the United States Army depot, Columbus, Ohio, as a Clerk Typist while a student at OSU. Elizabeth later retired after 38 years of service for the United States Government receiving numerous awards recognitions and promotions. Elizabeth was united in marriage to Charles R. Carter for 60 years and to this union they adopted a son, Mark Kirksey. Elizabeth was a self-taught seamstress making and designing most of the clothes that she wore. She was a talented poet, writing and performing numerous spiritual poems for church, friends and loved ones. Elizabeth was a true woman of God and a faithful member of Christ Temple Apostolic Faith Church. She was a devoted mother, a loving wife and a pillar of her neighborhood, mentoring and training youth in sewing and typing for many years. Waiting for her in glory are her parents, Oliver and Mattie Morris, five brothers and two sisters. She leaves behind to celebrate her life, her son, Mark Kirksey; her Goddaughter, Michelle Johnson; grandchildren, Myles Kirksey and Javier Johnson; a host of cousins, nieces, nephews and friends. Funeral service will be held 11 am Monday, August 20, 2018 at the House of Wheat Funeral Home, Inc., 2107 N. Gettysburg Ave. Visitation 9 am at the funeral home until time of service. Family will receive friends one hour prior to service. Interment West Memory Gardens.